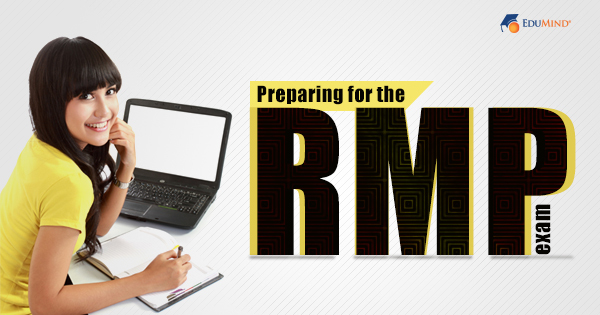 Enrolling for classes to train and prepare for PMP exam is a decision that requires a little rescheduling of routine. The trick is to accomplish the same without affecting the regular course of work. 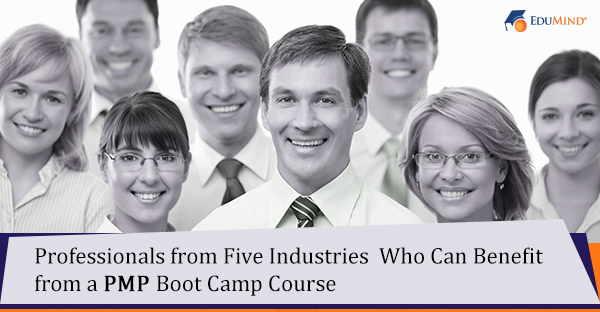 Read on to find out about the five types of people who can best benefit from PMP boot camp courses. Working professionals are always on the move, giving presentations, meeting clients, resolving issues, visiting sites etc. This category includes managers and senior executives in charge of regional marketing, sales and new projects in software and construction. It may appear impossible to take up courses, but quite on the contrary, it is easy for this category to fit in the PMP boot camp course. With outstanding flexibility and commendable coverage, the course is specially designed for all those who have jobs that demand busy travelling schedules. Some jobs are highly stressful in nature, and lead to burnout or attrition. This category includes managers with very high and competitive targets in the financial markets and people from the technical field. A professional who wishes to clear the PMP exam needs to plan in such a way that the stress from the work place does not move into his/her preparations too. Such busy stressed professionals enhance their chance for a positive career change by enrolling for the PMP boot camp courses. The course covers a whole set of features like simulation practice, workshops and free question bank access to ensure that the professionals are prepared for the exam just like any other student. Many students pursuing regular academic courses also take up a part time job in order to mitigate the financial burden at home. Students in this category need to manage time in a careful manner and make both ends meet. The best way to compensate for the loss of time at work is to choose the PMP boot camp course. Students get to interact with their peers through the online medium and share experiences too. These courses are much affordable and can easily place the student on a stronger career path. Mothers who are on a break from work, but wish to restart their career, may use PMP as a platform to begin the race. However balancing between preparation and the numerous responsibilities of being a new mother is never easy. In such cases, the PMP boot camp courses conducted by highly trained professionals helps them to fast track their preparation and the four weeks intense preparation enhances the chances of success too. The time to make minor re-alignments in career is at mid-level. Included in this category are senior managers in software, financial services and construction. With sufficient experience as backup and scope to grow as a PMP, mid-level is the ideal time to opt for a PMP course. The only aspects that need to be taken care of are time and not letting present job profile influence the interpretations. Clearly the onsite PMP boot camp classes are the perfect fit to get the best of both worlds. 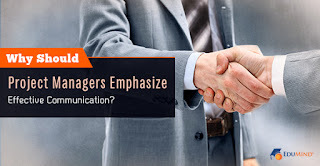 Why Should Project Managers Emphasize Effective Communication? Managing an important project with no form of communication can yield disastrous results. For a project to be successful several aspects have to be taken care of such as – meticulous planning, resource utilization, decision making abilities and regular communication with team members. Most often, a project manager’s inability to communicate well results in the failure or several shortcomings in a project. A customized one-on-one PMP tutoring class can contribute immensely towards tackling this challenge. A PMP certified project manager at the end of the course is confident, able to communicate effectively and execute the project tasks efficiently. What are the advantages of effective communication? Communication helps build relationships and nurtures the trust factor among peers. Undemanding, easy conversations with team members make more intense conversations simpler and getting the work done from them becomes smooth and hassle-free. Communication brings consistency into the project and keeps everyone informed about changes. Regular communication with team members can motivate them to be more productive. Communication with stakeholders keeps them in the loop and makes them feel secure. How can project managers enhance the communication within their team? Have a solid communication plan in place. Listen to your peers and you will find them communicating their needs better. For instance, when there is a new assignment, send out a formal mail explaining the requirements of the assignment, Additionally, share the excitement about the new assignment over a cup of coffee with your team members. Share project details with your shareholders whenever possible. Transparency breeds trust. Make your conversations intact and to-the-point. Convey the message appropriately and furnish details whenever necessary. Create a forum that can be used as a social platform to exchange ideas, share opinions and raise queries whenever necessary. Lastly, project managers must get the information flowing through the team always and allow no place for any guesswork. They must also keep their customers informed of all deliverables promptly. Many individuals believe that modern project management tools and the online medium can compensate for the lack of communication skills in project managers. But remember that the ability to hold a real conversation with another individual starts right through the PMP one-on-one course training and is the base to nurturing professional relationships within an organization. Without a doubt, PMP is a challenging exam. But in order to ease the preparation phase of PMP exam, renowned training centers offer the ondemand PMP exam prep course. PMP is for anyone who wishes to make a mark in the project management field. Most often business professionals raise their doubts about the credibility of the on demand course modules and their effectiveness. Are you a marketing professional travelling to various places in a week? Are you a team lead who is resolving some major organizational issues? On demand PMP exam prep course is too flexible and can be fitted into the schedule of the busiest employees in an organization. No matter how far you travel for work and how time constrained you are, PMP on demand course help you to tuck in the learning process wherever and whenever you can. With the on demand course and hindrances lying on the pathway to grand success are removed and unprecedented career growth is assured. The recorded lectures and guidelines offered by the on demand course are from expert resources and are 100% reliable. What can be better than having experts in the field help you to prepare for one of the most rewarding exams from any location in the world? The benefits of on demand PMP exam prep course are innumerable and professionals who have availed the course in the past have enjoyed a very percentage of success. The best way to leverage the advantages of on demand PMP exam prep course is by enrolling for the course through a trusted educational center. Project management is one of the oldest business practices that has gained significant importance despite the technological advancements. Project management is more than Gantt charts, graphs and heaps of paperwork. It demands project manager to contribute intellectually, emotionally and psychologically to complete a task successfully. In the recent years, several businesses have witnessed steep changes in the field of project management. The evolving technical tools of the trade have contributed to the changes in Project Management Profession. This evolution has become an emerging trend and project managers must be prepared to take on the challenges with a fail proof project management plan. 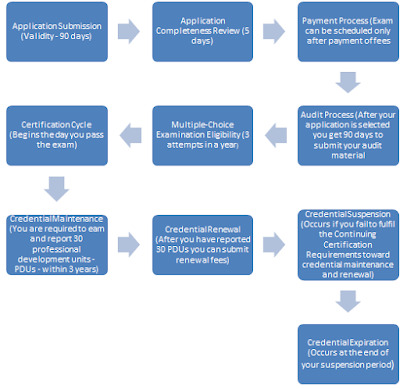 Here is what the future has in store for those planning to enroll for a PMP exam training online / onsite. The emerging forces of the 21st century like mobile phones, social media, digital disruption and technological advances have made project management more complex. In order to stay up-to-date with these forces, the traditional roles of the project manager and the business analyst will be redefined. The two entities will work hand in hand to drive better business value. Project managers who are willing to move from a tactical role to a more strategic function will be greatly regarded by CIOs around the world. Some organizations will treat project managers as project administrators thereby implementing rigid processes. These organizations will follow a top down approach on project management and rely much on the use of project management tools. On the other hand, there will be organizations that will offer more autonomy to a project manager and push him / her to take the leadership position. Such organizations will use the agile method of project management. Project managers must understand and learn the specifics of this method to outshine competition. Project managers handling innovation driven projects must understand that creativity brings change and change management becomes a business necessity. Project managers who are responsible for digitally disruptive projects or innovative projects in any field must make cultural change management as part of the project plan and play the role of the change agent too. The role of a project manager in a bio tech project will never be the same as that of the one in a construction project. No two domains are the same and the future will witness stronger segmentation of these domain-specific roles. Thus enrolling in an outstanding PMP exam training online to ace the exam must be accompanied by garnering sufficient domain knowledge too. Despite the evolving technology, project management will continue to be the realm of every business organization. Emerging project managers should adapt to the changing needs of the project to taste success. What really happens inside project management? How do project managers spend their time at work? What kind of tools are used, and how are they used in project management? 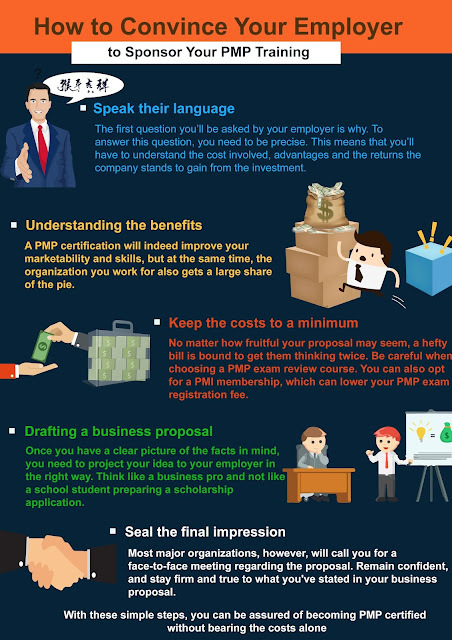 These are some of the questions you should consider before signing up for a PMP training course. Unlike other management areas, project management follows specific methodologies with their own defined set of standards. Each project methodology has its own way of dealing with resources and business requirements. A project manager must master these methodologies in order to deliver value to the project. The most commonly adopted project methodologies include Waterfall, Scrum, and Agile. Agile is becoming the most commonly used project management methodology due to its cost-effectiveness and ability to achieve project milestones using minimal resources. Project management methodologies and tools/software are two different things. Many candidates signing up for PMP course mix up methodologies and software, which results in poor performance on the exam. Project managers have many project management tools at their disposal. Project management software helps project managers take stock of all available resources, assign them to specific projects, link milestones to team efforts and monitor the progress. The dashboard of project management software provides the project manager with necessary information like work reports, defects, tests, issues, and changes made. Almost anyone can manage a project, but only very few will earn their PMI PMP® certification. In fact, research done by Wrike found that out of 1,464 workers, 94% were actively involved in project management. However, only 47% of the workforce actually hold a valid PMP certification. A lack of proper training and expertise in project management often costs businesses in terms of the project budget, schedule, and the ability to meet the project’s requirements. Project management has evolved into a domain where managers have to keep up with rapid changes. For instance, in the future, project managers will have to rely more on remote project teams. In fact, more than 40% of the workforce in an organization is estimated to be freelancers, independent contractors, or temporary employees. Project managers have to increasingly become skilled at managing a remote workforce to achieve project goals. Likewise, in the future, from project meetings to employee onboarding, most project activities will take place virtually. Room meetings will decline in number as virtual conferences and digital workplaces will take precedence. Project management demands that a manager is able to multi-task. Project managers must be professionals who can constantly evolve and adapt to changing scenarios. Digitally equipped workplaces and staff working remotely or from remote areas are changing the conventional ways of working on a project, which is seen as an increasing trend that is likely to become the future of project management. The first question you’ll be asked by your employer is why. To answer this question, you need to be precise. This means that you’ll have to understand the cost involved, advantages and the returns the company stands to gain from the investment. A PMP certification will indeed improve your marketability and skills, but at the same time, the organization you work for also gets a large share of the pie. No matter how fruitful your proposal may seem, a hefty bill is bound to get them thinking twice. 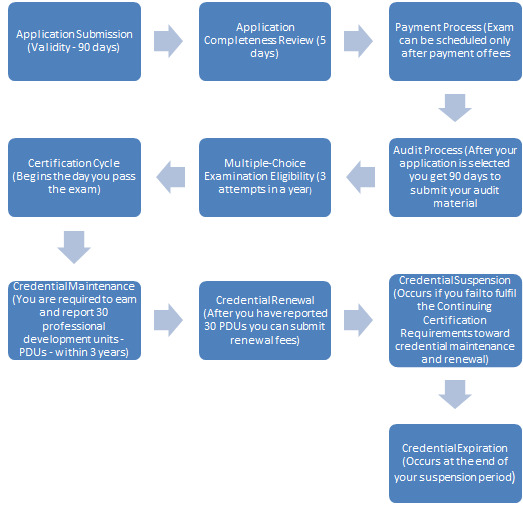 Be careful when choosing a PMP exam review course. You can also opt for a PMI membership, which can lower your PMP exam registration fee. Once you have a clear picture of the facts in mind, you need to project your idea to your employer in the right way. 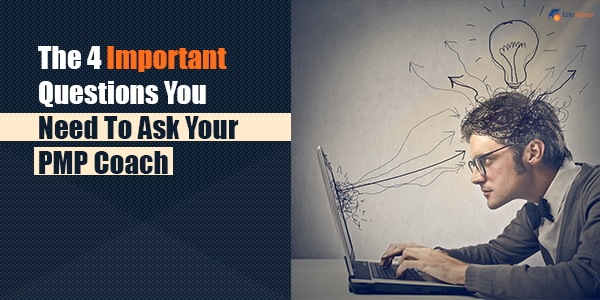 Think like a business pro and not like a school student preparing a scholarship application. Most major organizations, however, will call you for a face-to-face meeting regarding the proposal. Remain confident, and stay firm and true to what you've stated in your business proposal. With these simple steps, you can be assured of becoming PMP certified without bearing the costs alone. Effectively managing projects is an important element to the overall success of an organization. Organizations that acquire talented and skilled project managers have a higher overall success rate when it comes to completing projects. Training is a key element to success, and here are some reasons why. A Harvard Business Review report has found that one out of every six projects has a cost overrun of at least 200%. The report further stresses that these projects have a schedule over run of approximately 70%. 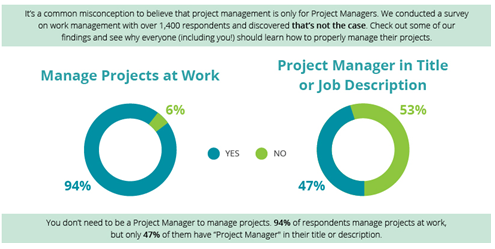 These shocking statistics show how poorly projects are run globally by non-qualified project managers. Trained project managers are able to set reasonable deadlines to achieve realistic goals. Attending an Online PMP training course will help project managers learn the standards set forth by the PMBOK. A project manager should be able to make the best use of the resources that are available. In some cases, the ideal set of resources may not be available at all. In such circumstances, project managers must put into practice their resource allocation skills acquired through training in order to complete the project. Each document has its own purpose and content. Preparing the documentation itself is a task that requires caution and attention. A project manager who has completed online PMP training will be able to complete the documentation part without any common mistakes. Information Systems and project management go hand in hand. In most business scenarios, the project manager will use Information Systems and reports generated by it to monitor the progress of multiple projects. It is estimated that for every 100 projects, 94 projects are restarted due to poor planning and allocation of resources. Unqualified project managers who lack experience fail to have a long-term vision for project implementation, which causes delays in projects. Organizations that provide online PMP training for their employees find themselves among the top 80% of high performing businesses. They are able to achieve 3.5 times better project results than those organizations without PMP training. Night jobs can be stressful. Pursuing PMP training while working as a full-time professional with night shifts will demand additional effort and dedication. Here are some simple tips that can help prepare for the PMP exam and manage your full time night job successfully. Time management is the key to managing a full time job during the night while taking a professional course during the day. Most professionals that work at night spend their days sleeping and tending to personal tasks. . Therefore, it is important to draw the line between sleep time and being awake. . It is imperative that the night shift working professional distribute the available waking hours between personal chores and preparation for the PMP exam. It may be necessary to attend classes to clear any uncertainties or brainstorm with tutors, and night shifts might be a barrier to attending the regular week day sessions. The best way to get around this would be to enroll for weekend sessions. Many seasoned PMP training providers offer weekend sessions to cater to the growing demand from professionals working on night shifts. One option that should be seriously considered is to take up PMP Training Online from reputed institutes. Online classes give flexibility to learn for a longer time from the comfort of residences and without the restrictions of rigid time constraints. Taking mock tests periodically would be a great way to know the fruits of preparation. The tests should be timed and taken in a proper atmosphere, to give the feel of an actual test. Additionally, design your own tests that are not time bound. Use these tests to spend your free time at work to solve complex questions. The tests that one takes should be an indication of the preparedness. However, it would benefit immensely if the results of the tests and the difficulties faced are jotted down and analyzed. This would give a fair idea of the strengths and the areas which require additional attention. The analysis could indicate the areas or subject that need special attention, while confirming his or her strengths in a different area. This information can be used to redefine the preparation strategy with additional time on weaker areas. Given that working at night can cause increased fatigue if a proper cycle of rest is not followed, it would be a wise decision to allow the body and mind to rest. The days immediately preceding the exam should not be used for cramming subjects, but should ideally be devoted to reviewing and refocusing with adequate time allotted to rest in between. It is essential that the dietary requirements are fully met. Intense study sessions demand sufficient energy and nourishment which must be duly satisfied. The selection of food should NOT be exclusively based on easy availability or easy to prepare or comfort foods. Healthy and easy to digest food should be considered and consumed during preparations and prior to exams. Balancing heavy loads of work and studies is not on everyone’s wish list but the attempt gains momentum when a strong team is formed. Team work paves the way to fetch results that can be fulfilling and professionally beneficial. How to Convince Your Employer to Sponsor Your PMP Training? For most project managers, getting PMP certified is regarded as an asset that can enhance their credentials and take their career to greater heights. However, despite the vast advantage they stand to gain, on further contemplation, the extent of investment that is required tends to hold them back. The cost involved for registration, buying course materials and signing up for a PMP exam review course can amount to a staggering sum. It might well be beyond your personal finances. How do you get around this situation? The only way you can achieve what you want without shelling out money from your pockets is by acquiring company sponsorship. With most employers implementing cost-cutting measures, what can make a stark difference in a project is placing your persuasive skills in action- this way things are sure to fall in an order. The first question you’ll be asked by your employer is why. Your employer will not be convinced with vague answers. To answer this question, you need to be precise. This means that you’ll have to understand the cost involved, advantages and the returns the company stands to gain from the investment. Remember, the organization isn’t really doing you a favor by sponsoring your PMP exam review course and other training costs. A PMP certification will indeed improve your marketability and skills, but at the same time, the organization you work for also gets a large share of the pie. Your project management skills can help them save money, reduce project failures and boost company-client relationships. Once you have a clear picture of the facts in mind, you need to project your idea to your employer in the right way. Think like a business pro, and not like a school student preparing a scholarship application. Set the tone right and pitch your idea in a succinct manner. Substantiating your claims with adequate documentation is an added plus. If you believe certified PMs perform better than their counterparts, prove your statement by pulling out relevant data. You can also tap into your company’s resources and pull out instances of projects that went wrong due to lack of trained PMPs in the company. If done right, the business proposal in itself can help you seal the deal. Most major organizations, however, will call you for a face-to-face meet regarding the proposal. Feel confident about yourself and stay firm and true to what you’ve stated in your business proposal. Also, elaborate further on various benefits the company stands to gain, if they sponsor your PMP exam review course and other costs. A drop in your concentration levels, sudden fits of anger, and overthinking are all indicators of stress slowly victimizing you. As stressful as a PM’s job is, knowing where to draw the line is crucial. 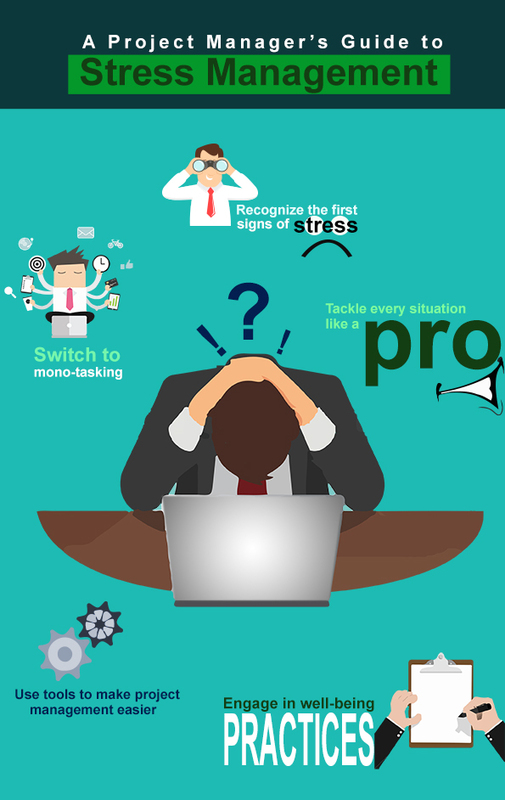 Identifying the factors that contribute to stress and taking up necessary remedial action is crucial. For instance, if your PMP prep is too demanding, opt for Ondemand PMP training, instead of onsite classes. Alternatively, if you find yourself on the verge of burnout, meditation can help you keep your stress-levels under control. Remaining work-oriented is a good trait and is something you’ll learn during your Ondemand PMP prep course. However, overdoing it will have negative results for your project. Personal development tools like resilience training, physical exercise and other renewal activities outside of work can act as great stress busters. Stress can be contagious. It is advisable to engage in well-being practices and encourage the same among other team members, in order to keep the entire team happy. Risks in a project cannot be managed if plans for management of such risks are not on the drawing board of a project. Identifying risks does not require an actuary. Inputs from sessions with team members should be encouraged, and information generated from reports should be scrutinized to analyze and identify recorded risks of the past and possible risks of the future. Keeping channels of communication open is necessary to receive inputs on unexpected developments. A risk is an unexpected event. Sometimes, the risks are outcomes of a particular sequence of events or circumstances that can be predicted. And sometimes, taking a risk can bring positive and beneficial results. It is essential to weigh the risks in a manner that includes looking at probable positive outcomes. Risks and the response mechanisms need to be tagged together. The department or manager responsible to tackle a particular issue needs to be identified and delegated. Risks have to be objectively assessed and graded as per priority. Likewise, response has to be initiated as per priority too. 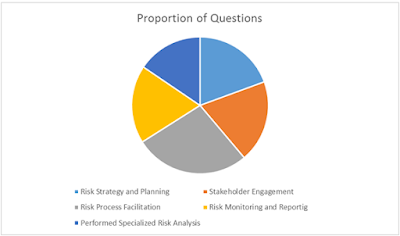 Analyzing the nature of risks, the sequence of events preceding it and the expected outcomes helps to plan a proper response to the risk, at various stages of the risk manifestation. The final objective of risk management is to avoid or minimize a risk by accepting it. By evaluating and planning responses, the risk is to be either avoided, or the effects of the risk are to be minimized. Sometimes, unfortunately a bad project may have to be shelved on the basis of risks that develop en route. 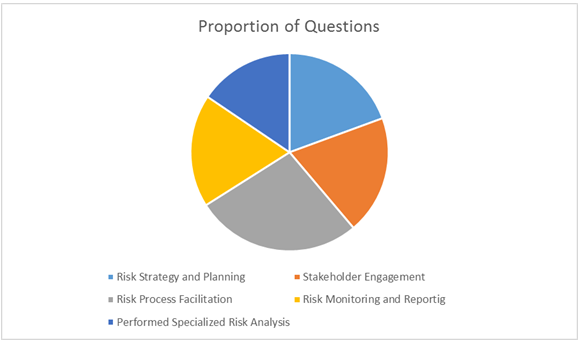 Implementing the risk response is hence the single most important aspect of Project Risk Management. Logs have to be maintained and they should list, tag, analyze and provide a response to all known and potential risks. and it should etc.long with a periodical review . Tshould accordinglyTeam leaders and members should periodically review these logs to assess progress and make project course corrections as necessary. Tracking the risks as they develop or manifest helps to be aware of any situation and initiate an appropriate response. Effective Project Risk Management will ensure the success of a project through economical use of resources and onsite PMP boot camp classes are the best way to equip key personnel with effective project management skills. The onsite knowledge transfer ensures that the key concepts of project management help complete the project within the time frame, set budget and meets all mission objectives. Edumind’s online PMP Exam Prep course is designed to offer busy professionals the flexibility to pursue their professional certification. The online PMP course is a well wrapped bundle handpicked by our instructors who carry several years of training expertise. The online PMP exam prep course is as interactive and beneficial as a conventional onsite class room training is. You can be rest assured to receive all the knowledge and skill required to become a PMP certified. The online PMP exam prep course is extremely interactive and engaging. The attention and in depth knowledge share will keep you engaged and involved in the training session. Therefore, if you are pressed for time and can’t devote time enrolling for an onsite training course then online PMP prep course is the ideal solution for you. •You can study from the convenience of your home, office, etc. •You can interact with the trainers and clarify your doubts just you’d do in a conventional training set up. EduMinds Online PMP course is definitely a boon for working professionals. IF you are crunched for time and need a certification that will open door to opportunities then the online PMP exam prep course will do the magic ensuring that you pass the PMP exam with flying colors. The burgeoning population will drive the demand for energy to mind boggling levels. Global investments over the next 25 years are expected to touch a staggering 20 trillion USD. The pursuit of economical energy and lower carbon fuels will mean more mega projects tapping into unexploited reserves. Despite advances in alternate sources of energy, oil and natural gas will account for 60% of global energy consumption. A whopping 55% of ongoing projects were found to have experienced overruns in cost and schedule. A properly managed project aligned with the company's objectives would have stayed out of the 55% circle. The slump in oil prices not with standing, the resilient energy sector will see countless projects to power the globe and project managers will hold the key to successful implementation of all projects. The five functions of management, according to Henry Fayol, appear tailor made to the aviation sector. Phenomenal growth is expected during the next 20 years, with addition of routes, flights and destinations to cover the increase in demand projected to touch the 7 billion people of the world. China, the U.S, India, Indonesia & Brazil will be the five fastest increasing markets during this two decade period. Project managers will be in demand in this industry that needs to run within the dimensions of time to stay relevant. Projected to grow at around 5%, the healthcare industry will grow exponentially due to a global aging population, increased spending as a result of economic growth and better penetration of health insurance. With the pharmerging markets commandeering the projections pie chart, a very large number of new projects will be setup during this period by pharma majors, with reliance on project managers to man the cogs of project execution. Robust growth is predicted as the construction sector bucks the trend and bounces back. A large number of project managers will be required to steer numerous projects without overruns in cost or time or compromising the quality and the objectives of the project. IT was clearly the odd man among industries hit by the slowdown, progressing at the same frantic pace of development. The trend is expected to continue, driven by the growing needs in all sectors that are dependent on IT for applications and processes. Dynamic project managers will also be expected to manage a diverse workforce and align them with the objectives of companies. Project management has evolved from the simple Gantt Charts and the 14 principles of management to the present highly tuned system that has factored in all the metrics and parameters. The very act of a project manager seeking credentials is proof of commitment; sprint ahead in today's competitive world with the PMP. “NGO”or non-governmental organization refers to many groups that do not operate under government with business objectives. NGO’s operate on humanitarian or cooperative grounds. All operational NGOs must systematize their resources to buy material, labor charges etc. to ensure that their projects and programs are actively progressing. Finances received from the government in the form of contracts, foundations and companies require expertise in planning as well as balancing the finances and expenses. In order to manage the different verticals of planning, preparation, budgeting, accounting much more demand is placed upon the shoulders of project management professionals. As one may not see the needs of NGOs that deal with the refugee problem, human rights, and life necessities in handling resources and funds efficiently. A Project Management Professional can streamline the overall project and programs of an NGO An existing project manager should consider getting trained and obtain the coveted PMP Certification in order to effectively maintain and run all NGO’s programs. NGOs provide a wide range of opportunities to project managers wherein they are required to manage resources. A project manager that is an expert in all of an NGO’s divisions and branches will play an important role in the success of all of its projects. With minimal budgets and growing demands from contributor and stakeholders, organizations need to implement the latest tools in project management in order to achieve superior results. Due to the growing demand for project management professionals in NGO, certified companies are providing Project Management Program (PMP) training to prepare individuals as project managers to work specifically in NGOs. Besides this, individuals are trained to have domain expertise knowledge on various issues that NGOs encounter. This successful approach enables the individuals to acquire the skills required to develop projects, huge and small, and manage the projects globally. Every project needs logical evaluation to outline the big project from beginning till the end. Measuring the value of the project, pre-implementation, testing and executing the plan are the various steps involved in the evaluation process. Project managers with PMP training possess a distinctive skill set to manage all the processes and systems proficiently. The critical project management skills obtained through PMP training ensures that every penny donated by the donors is used to acquire maximum value through Return-on-Investment to the NGO. Many NGOs receive funds from external sources; generating these funds in an appropriate way to increase the returns by investing is possible through Project Management Professionals. PMP Training Programs are designed to provide competitive skill set and knowledge to individuals instilling the ability to handle all kinds of issues related to NGO projects and programs. Additionally, individuals can gain effectiveness to plan and execute the program. Improve performance after the completion of every project. NGOs can also view the overall improvement in their organization, better plans for fund-raising and great return-on-investment on attending the PMP certification training. Confidence is extremely important in every sphere of life. Countless individuals are caught up in the struggle to find it and keep it. This is especially true for project management professionals who are put through grueling challenges that may shake up their confidence. Project management professionals starting out in their career often develop doubts about their abilities when working with more experienced people. Have you ever fallen into a similar confidence crisis? If so, you need to act now! A project manager with low confidence lowers his team’s morale and is unable to deliver his best to the project. All project management professionals are not alike. Each one may have a different set of skills and a unique approach to tackling problems. While it is easier to choose the same path that has worked for previous Project Managers it is much more prudent to figure out what works the best for you as an individual. Even if you do your job extremely well, it rarely helps you gain confidence to follow in the footsteps of others rather than create your own identity Only when you are aware of your own competence could it translate itself into confidence. Never underestimate the power of a certification in boosting your confidence. If you’re feeling insecure about the level of knowledge and skills you have, then try studying project management. Enroll yourself in a PMP exam review course and attempt the PMP exam. Not only will it improve your project management knowledge, but, the Project management certification will also be highly recognized by your peers. This, in turn, will empower you to compete confidently in the professional environment. If your confidence level is not up to the mark, do not let others on your team know it. Even if you pretend to be confident, you’ve won half the battle right there. Maintain a fresh attitude and the right body language. Dress smartly to work, stand tall, put on a smile and maintain a calm composure even in times of distress. Eventually, you’ll start to feel real confidence because your team will start believing in you. As a project management professional, planning a project or making important decisions all comes down to you, right? Wrong! If you do not know something, it’s better to own up to it and seek from people who do know about it. Give importance to other experienced people, form a support system and value their contribution to the team. This approach not only makes you feel more confident in the decisions you make, but it also helps maintain a positive attitude in the team. A sheer lack of confidence can be a stumbling block on your career path. Ups and downs are commonplace, but with a confident attitude and belief in your abilities you can steer the project to success. As a new mom the chances of losing out on any lucrative opportunity is relatively higher. While going back to the routine of work, corporate parties, business meetings and lazy weekends take a backseat that shouldn’t deter a new mom from preparing for the moment when the time is right to pursue a challenging career again. The early phase of motherhood can also be used to prepare for better career opportunities. Here is a list of tips to keep the young mother inspired and mentally determined to take on the PMP challenge. The PMP exam review course that is offered through a reliable organization with flexible timings and regular tests is the foremost step in preparing for the PMP exam. In fact PMP training organizations provides new mothers a positive approach to begin their career again after a long break. Family plays a vital role in empowering the woman of the home, be it in education, career or sports. Let your partner know your career plans in advance. Involve him in the decision making process as this inspires him to provide support. Talk to parents and other close family members (like siblings or cousins) and let them know what your next step is. Family extends its help by offering to babysit your little one at regular intervals, giving away some useful study tips and also helping you with the chores at home. There is no way to crack the challenge without a healthy mind and body. While the last few months have been filled with days of lazing around and sleeping during odd hours with the baby, it is time to get some routine back into your life. Introduce some physical activity like yoga or a long walk with the baby to ensure you stay fit. Eat healthy and keep the mind fresh from unwanted thoughts. Focus on career goals and keep reminding yourself about what you want to achieve. Listening to a few lectures as you relax with your baby or make a meal to absorb key concepts effortlessly. This is efficient and also largely time-saving. Develop positive attitude and the adventurous spirit. Strike a balance between between professional activities and familial responsibilities. Enjoy an occasional trip to the beach side, spend time with family, bake a cake and do not be too harsh on yourself while preparing for the PMP exam. Relax and take each step slowly but steadily. By the end of all this planning that goes into acing the PMP exam, you would have already acquired 50% of the best project management skills. The PMP review exam course and training will make the PMP exam as easy as pie. Project Management Professional certification (PMP) provided by PMI is your key to a globally recognized professional career with growth unbound. The certification can be easily achieved by preparing for the exam by enrolling for PMP boot camp courses or PMP prep course training. PMP boot camps are short-term rapid revision/training classes that help project managers and students gain a quick grip on the exam syllabus. PMP boot camp courses are usually conducted when the exam dates are approaching. This is the right time when revision under a learnt tutor is necessary. The benefits of PMP boot camp courses are plenty, some of which we are going to discuss in this article. PMP boot camp training courses are handled by experienced tutors with high academic credentials. 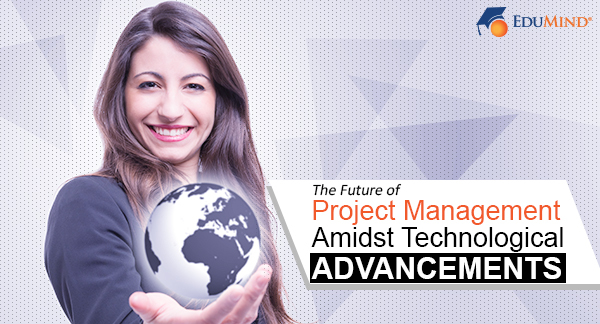 All of them happen to be PMP qualified project managers who have real life experience in project management. Their insights in the field does come to aid in improvising the learnability of aspirants. The tutors are also easily reachable through email and other online mediums, making it easy for you to clarify your doubts from a place convenient to you. PMP boot camp courses are conducted in a span of four days or two to four weeks. You will receive a quick teaching session that covers important topics expected in the exam. Topics of high importance will be discussed in detail to strengthen the understanding of the student. PMP boot camp courses also help students prepare through an online program that benefit the merits of a short term classroom training easily. PMP boot camp courses cost around one fourth of a full-fledged PMP training program. It cost varies from one fourth to half the price of a full course depending on the period of class you are going to enroll. Either ways, Boot camps are cost-effective and offer students value for money. The quality of the course is not compromised and is handled by qualified project managers who are subject matter experts as well as recognized education providers. Additionally, if you are a PMI member, the cost of PMP boot camp courses and study material could be far less than what others usually pay. Not every project manager will have the convenience of attending full scale PMP training program. PMP boot camp courses give them the opportunity to further their professional training without having to spend lengthy amounts time, usually in months for attaining the certification. PMP boot camp training serves the same purpose but in a shorter span of time, which is what a working professional requires. Online training ensures that you are able to continue your learning from a place convenient to you. Online courses provide the ambiance of an actual training program and are beneficial to those who’ve attended classroom based training but feel the need for extra input from a different source. PMP boot camp courses help students strengthen their learning in a short span of time. They provide effective learning with the help of a highly qualified tutor with experience in project management. In today’s rapid ever-changing world, businesses want more for less and fast. Projects are expected to be turned around in the shortest time, within the leanest budget, demanding the best of practices possible while maintaining the highest industry standards. To meet these seemingly implausible expectations, the right balance of planning, monitoring, evaluating and controlling can make all the difference in project management. It enables bringing projects to completion on-time, on-budget and on-quality. Project objectives can be achieved by aptly leveraging certain project management processes, guidelines and techniques effectually. The idea of immediately beginning work on the project and jumping right into it, needs to be set aside. Create a project work plan that constructs project deliverables and manages the project. The time invested in planning the project will pay off with end results of reduced costs, quick turnaround time, right resources assigned, reduced leeway for errors and improved quality of the project’s life. Once the work plan is approved, it becomes the foundation from which to build upon and grow. If you are not confident of how to manage a project plan, completing the PMP test will give you the push in the right direction. By completing the PMP test you get the opportunity to brush upon the fundamentals of project management. Now that the work plan is in place, execution of project work can commence. However, periodically and regularly, keep a tab on the Agenda created by the work plan and ensure the project timelines are not deviating from the set path. Constantly keep a check on the budget and update the statuses or raise flags if required. While challenges might come your way, proactively work towards completing the project within the original effort, cost, and duration. Cost and Time are crucial factors at any level of project management and these two important knowledge areas are covered in the PMP boot camp training class. Over and beyond the effectual management of the project’s agenda and budget, managing scope is another very important factor to look into. Effectively try to establish stringent scope-change management procedures in place. If you are unsure about how to go about it, a quick 4-day boot camp at a PMP class will greatly help you. Scope creep (a series of small scope changes) apparently is one of the top reasons that result in project failures resulting in projects to be not delivered on-time and on-budget. Ensure to focus and track scope creep. By identifying the risks up front, it will help in quickly mitigating the impact the risk might have on the project without creating any further problems. The possible risks and its associated impacts needs to be gauged. The high-risk events that have been identified should have strong backup plans in place to ensure they do not occur. Along with the risk management and assessment process, ensure that on a constant basis the varied issues that rise up are immediately being given attention and resolved in a timely fashion. One must be equipped with good knowledge of risk management to handle such a situation. It would help to attend a 4-day classroom PMP boot camp training course, to quickly garner knowledge on one of the key PMP knowledge areas – Risk Procurement. Therefore, by diligently planning, monitoring, evaluating and controlling at varied levels of the project, you are well on your way to deliver quality on-time and on-budget! If studying during your high school or college years was troubling for you then PMP training will be more challenging comparatively. As an aspirant of a self-study PMP exam prep training course, you will experience extreme pressure which needs to be dealt with effectively. It is a proven psychological fact that any habit which is repeated for three weeks regularly becomes routine. Make it a habit to wake up early, study at specific hours and follow a healthy diet regimen to prepare yourself physically and mentally for the grueling PMP exam. Qualified professionals are experienced sources of PM related information. You can get an insight on the key essential of how to pass the PMP Exam Review Course. Inquire about their study practices, strategies used and time management techniques that helped them achieve success. Your PMBOK Guide is the holy grail for PMP certification. It is essential that you read from other sources- most importantly from industry related journals and magazines so that your learning improves significantly and your understanding of the subject is in par with a PMP certified professional. Thanks to YouTube, Vimeo, Dailymotion and several other video sharing websites, education has become seamless. You can find thousands of training videos (both free and paid) to get maximum benefit out of your self-study PMP exam prep training course. PMP is applicable in daily life scenarios. Time management, resource allocation, deliverables management; every aspect of project management can be related to a real life scenario to deepen your understanding about project management. Too many distractions can hinder your learning ability. Social media, television, aimless chatting etc. can consume enormous amount of quality time that otherwise can be spent for studying. Eliminate them to improve your chances of obtaining a good grade in PMP certification. Learning is from a teacher and counsel is from an expert. 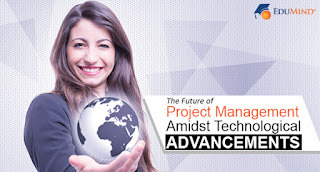 As an aspiring Project Management Professional, it is necessary that you seek counsel from industry experts to gain a ground level understanding of what the present scenario requires of a PMP qualified professional. It is necessary for a student to take occasional breaks from the study regime. The brain needs some time recoup from the hard and tiring work it has been put through. Moreover, a break will strengthen your ability to remember concepts and theories after a short while. The ability to remember facts and concepts are integral to passing the PMP certification Training. A self-study PMP exam prep training course is definitely useful for a student who is unable to attend classroom model courses. Self-study takes discipline and conscious effort from the student’s part. The above mentioned tips aim to improve the student’s self-studying abilities. Candidates who have taken the Project Management Professional certification (PMP) and have successfully passed it, hold a wealth of information that can be passed down. Learning from the experiences of professionals who have already passed the PMP certification is a huge step in the right direction of successfully taking the PMP Exam. Hearing what they have to say gives fresh insight on what to do or not to do, and accordingly you can create your own study plan. Finally, when it comes down to it, every individual has their own method of preparing for an exam, but it doesn’t hurt to see what worked for others. 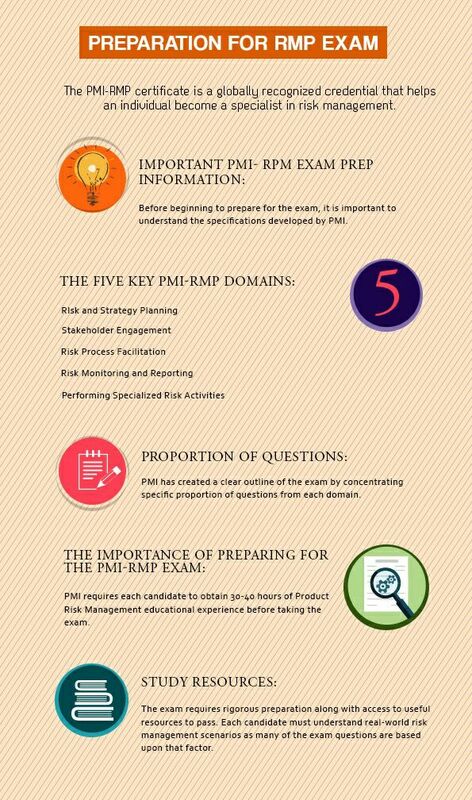 First and foremost, it simply cannot be stressed enough how important the Project Management Body of Knowledge (PMBOK) Guide is for PMP exam preparation. This guide covers the essential fundamentals of project management in terms of knowledge, tools and processes. It is very important to read it cover to cover, as most of the questions in the exam come from this study material. 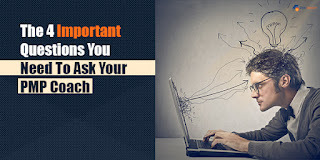 It will greatly help you in answering most of the exam questions. The PMBOK Guide is one of the most important study materials you can ever review for passing the exam and achieving the PMP certification. Over and beyond the PMBOK Guide which is considered the single most important book, invest in a good training program and good course material. The internet is teeming with relevant information on the top training programs and course materials. You can choose one that seems to be well-reviewed and fits with your study plan and budget. As a Project Manager, you will be incorporating your own management style. You might already have your own ideologies and views set on how to manage and succeed. While that is very well and good that it works for you, when appearing for the PMP exam, it’s a whole different scenario. There will be questions related to project management which can prompt varying answers and people tend to write from their own real-world experience. A disconnect presumably exists between the PMI way of project management and one’s real-world experience. A trick to getting through the PMP exam is to connect the real world with the PMI world. Chart out a study plan to help you stay on course. Try different sources of study material to achieve your goal. You could try to read books, download apps to your phone, listen to audio lessons, watch video material and so forth. The choices are plenty, and you can incorporate what works for you based on your busy life schedule and routine. Full-time professionals claim that to fare well in the exam, good amount of preparatory time is essential. The exam is neither difficult nor is it easy, but a good amount of preparation is indeed required. If you want time to be quantified, it seems around 150 hours comfortably spread over 3 months or so is likely to help you gather enough knowledge to tackle the PMP exam. So devote time towards PMP exam preparation. In conclusion, by assimilating the information shared by successful candidates, it will help you garner a better grasp on the varied factors surrounding the PMP exam prep course and will make you feel more confident of the choices you make in preparing for the exam. All the best!